Developer Frozenbyte has announced that Trine 4: The Nightmare Prince will be coming to PS4, Xbox One, PC, and Switch this fall. The PC release will be hitting Steam, Discord, and other digital distribution platforms when it releases. Featuring a brand new story that reunites the previous heroes, Trine 4 returns to the series to its 2.5D roots with traditional puzzle-platforming action and physics-based goodness. A new four-player co-op mode is being teased, likely as a pun on the game's title. If you want to get caught up on the series, a compilation pack will be releasing alongside Trine 4. Containing Trine: Enhanced Edition, Trine 2: Complete Story, Trine 3: The Artifacts of Powers, and Trine 4: The Nightmare Prince, this complete package will be heading to PS4, Xbox One, and PC both physically and digitally. Trine 4 will be available standalone in the same manner. 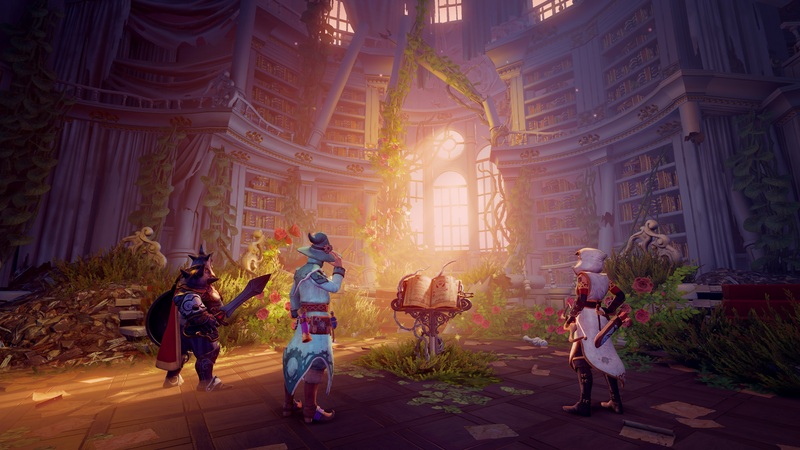 Buying Trine 4 or Trine: Ultimate Collection at retail will come with a cloth map of Trine 4's world while the compilation package will have reversible cover art, a downloadable soundtrack, and a digital art book. It sounds like a great way to get every title in one convenient box.